Since Feb 2011, MACD retrace down to negative region. 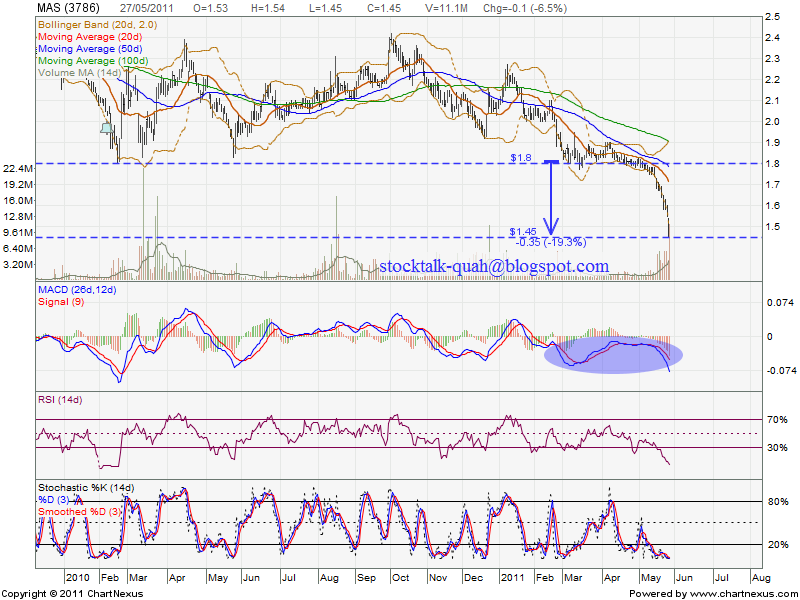 Unfortunately, RM1.80 support level unable sustain. 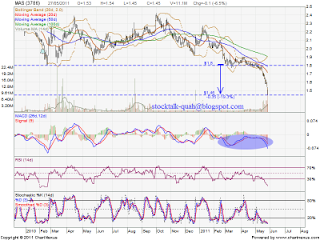 It further break down the support. From stochastics %K indicator, MAS definitely at oversold stage, technical rebound will be in place soon.